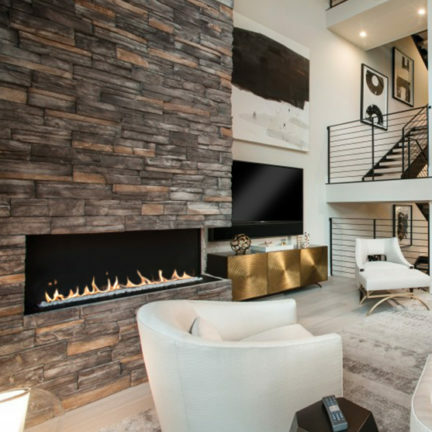 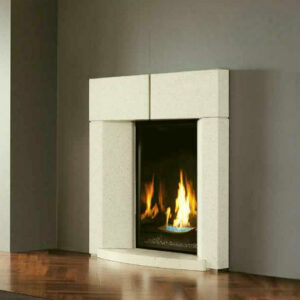 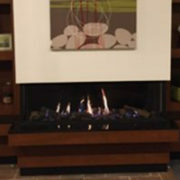 This modern corner, two-sided fireplace features a contemporary, trimless, open front style. 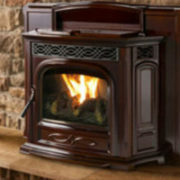 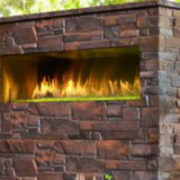 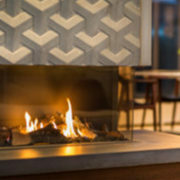 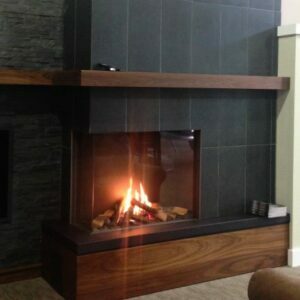 Zero clearance with a vent-free, natural gas burner you have multiple benefits including ease of installation, greater flexibility in fireplace location and an impressive efficiency rating at 99%. 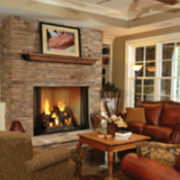 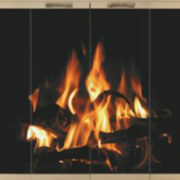 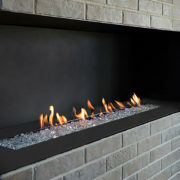 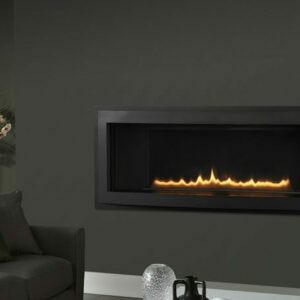 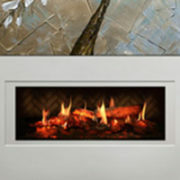 All H Series fireplaces feature high quality fire media, which sits directly in the flames and covers the burner. 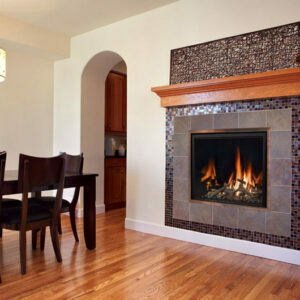 Choose between multiple colors of fire glass or Carrara pebbles.